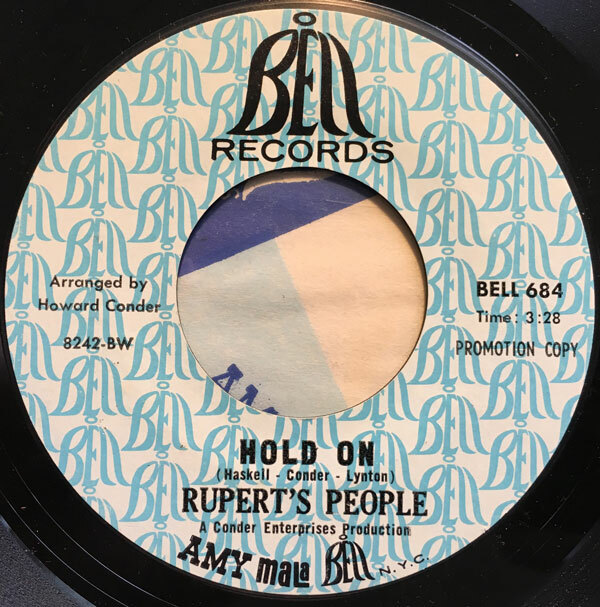 I am a huge fan of vintage comps (i.e those released in the 60s) as they are a fantastic way to find unusual/unknown tracks, or things that are otherwise only available of very expensive 45s. 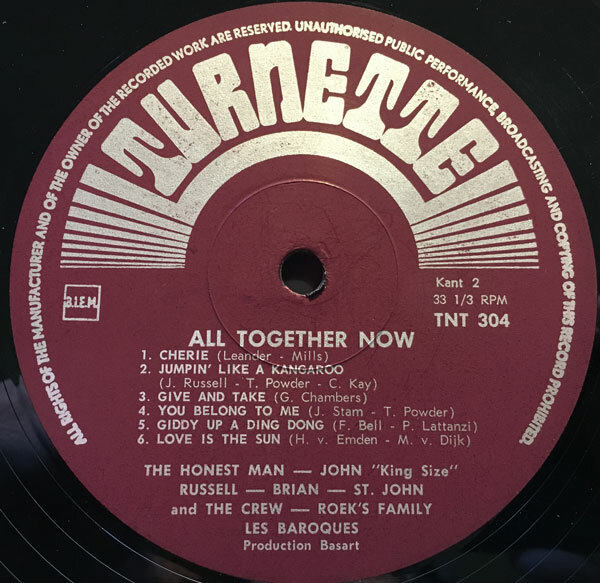 A while back I grabbed the Dutch comp ‘All Together Now’ released on the Turnette label in 1968. The record is a collection of 45s released in the Netherlands on labels like Park, Whamm, and Ronnex labels by a variety of pop and beat groups/artists. 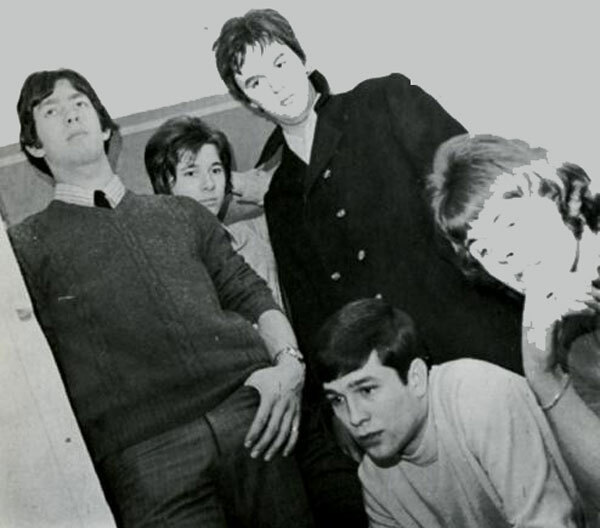 Today’s tracks by St John and the Crew were originally released on the group’s sole Whamm 45 in 1966/67. The group, Jan Stam, Klaas Benschot, Nico Veenman, Theo Daatselaar, and Ton Vosmeer hailed from Utrecht. ‘I’m a Man’ is a very groovy, fuzzed out bit of Nederbeat/garage that sounds (accents aside) like a US garage 45. The flip ‘You Belong To Me’ is the highlight. 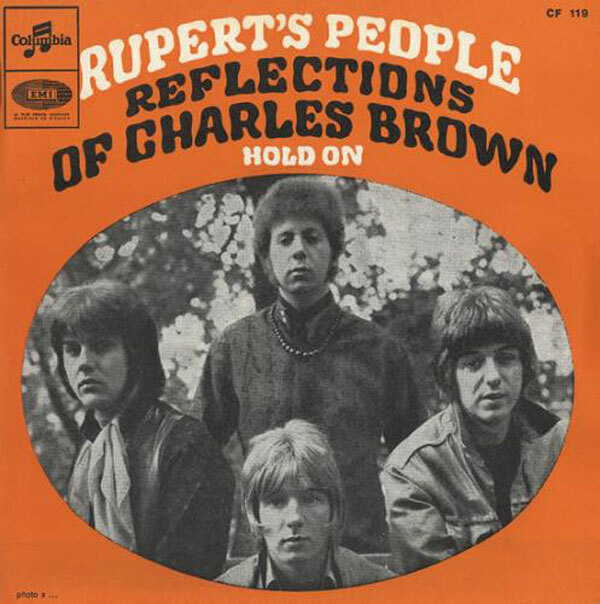 A fantastic, moody beat ballad it ought to be much better known. Botht tracks were reissued in the 80s on the Nederbeat comps ‘Flight To Lowlands Paradise’ and ‘Highlights In the Lowlands’. Today’s selection is one of those records that was all but unknown to me until it showed up on a friend’s sale list. I found it intriguing, gave the sound clip a spin and new instantly that I needed to add it to the crates. 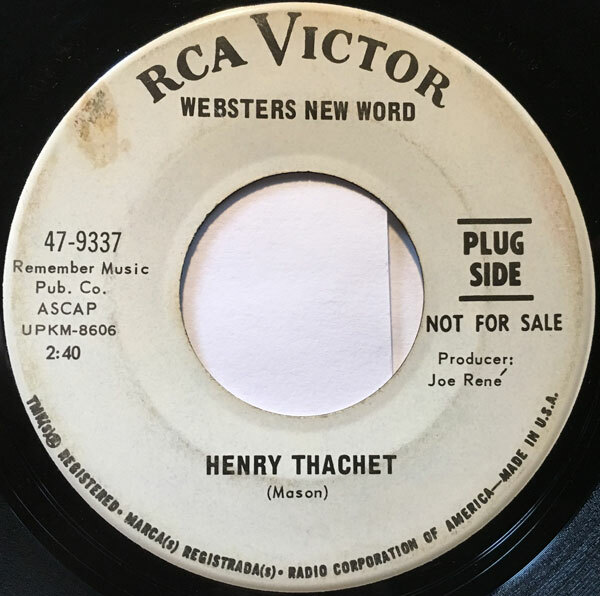 ‘Henry Thachet’ by Webster’s New Word (groovy name, that) is one of those 45s that falls into that sweet spot where the folk rock and pop of 1965/66 is starting to intersect ever so peripherally with the dawn of psychedelia, merging pop hooks with weird, trippy touches. The production, in the chorus where things start to sound a little bit crowded and far out, with the bells and the strings and just a touch of dissonance is very cool, as are the drums, the organ and the still-jangling guitars. 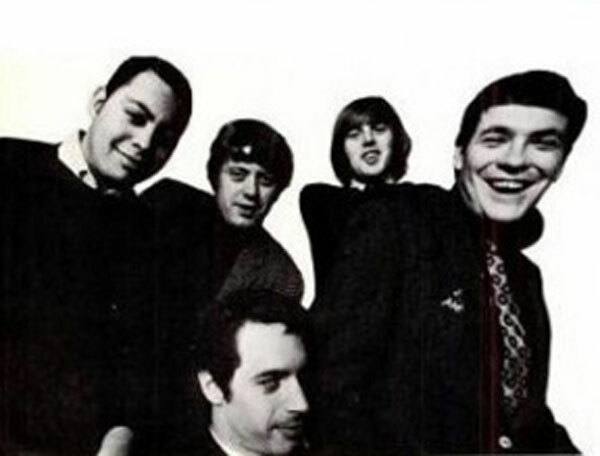 Apparently Webster’s New Word got their start at college in Indiana, moving to New York City where they were signed to Columbia where they recorded two singles (including a cover of Richard Farina’s ‘Hard Loving Loser’) in 1966 and then moving to RCA for two more in 1967 of which ‘Henry Thachet’ was the first. 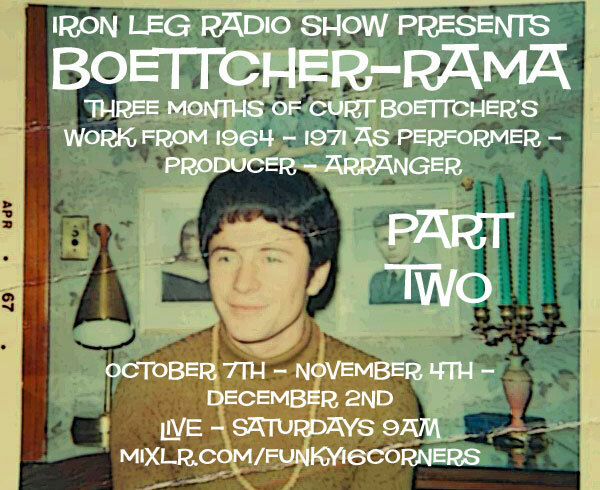 This month continues my look at the work of Curt Boettcher as performer, composer, producer and arranger starting in 1964 and moving on into the early 70s. Here we get to hear his hand in his own work (like the Millennium) as well as to varying degrees with the records of other people, as producer, arranger and writer. The December podcast will bring you part three, and it’s very likely that there will be a fourth volume in 2018.